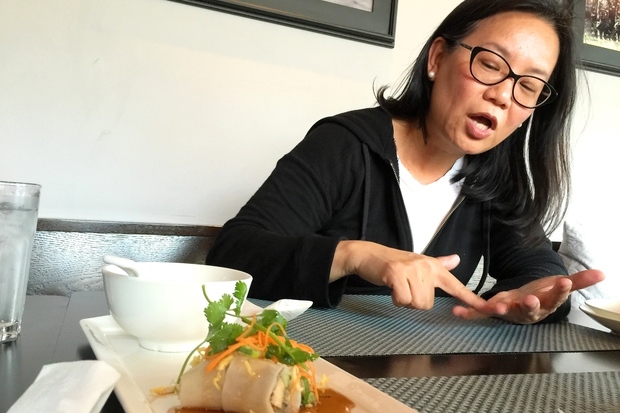 Jenny Yang, owner of Phoenix Bean tofu company in Edgewater, said she's been humbled to be considered "the best" when it comes to tofu by way of celebrity chef and neighborhood endorsements. EDGEWATER — Celebrities don't always eat tofu, but when they do, they prefer it comes from Phoenix Bean in Edgewater. Run by Jenny Yang, the tiny 3,000-square-foot manufacturing plant at 5438 N. Broadway has been hidden in plain sight for 35 years — but has gained a big reputation among some of the country's top dining spots. 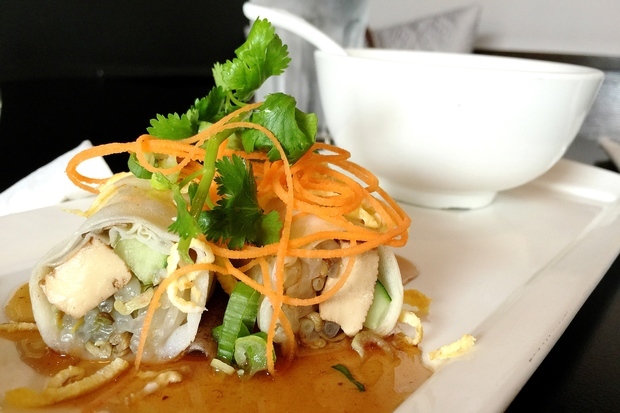 Yang's tofu has been served at restaurants like Next, Lao Sze Chuan, Duck Duck Goat, Handlebar and BellyQ, and has been featured in creations by Rick Bayless, Stephanie Izard, Sarah Grueneberg and more. In 2014 when actress and uber-vegan Gwyneth Paltrow desired dairy-free cheesecake, Chicago's own Eli's Cheesecake answered the call using Phoenix Bean after searching more than a year for the perfect soft tofu. It's so in demand that all 54 Whole Foods in the Midwest carry it in their salad bar. At 35 Mariano's, you can find the products in salad bars and on the shelf. It took a few years (and a lot of education on tofu), but the Chicago Rabbinical Council also certified Phoenix as kosher. Yang said she and her team couldn't do it without loyal customers, celebrity chefs included, over the years. "Our neighbors are so supportive," Yang said. "Why we developed this product is because the residents here, the neighbors here, are our loyal customers." This year, Phoenix plans to expand for the first time, scooping up two storefronts on the same block — one for a retail shop and one for a new 10,000-square-foot kitchen facility. The current digs will become a storage area. Yang said she suspects the popularity of her tofu comes from its high-quality ingredients (she currently works with three farmers in Illinois who provide the organic and GMO-free soybeans) and traditional Chinese recipes and cooking methods. "Like eight years ago nobody will have heard of tofu, or to try tofu, and now I feel the customers [are] very pioneer[ing] with me and they will walk over and say, 'Where did you get your soybeans?' They think its from China," Yang said. Her beans go through a high-pressure cooker and volcano grinder before they're separated into soy milk and a flaky byproduct. The milk is cooled as it sets in a long water bath before being finished as extra soft, soft, or firm — depending on how much water gets squeezed out or left in. The small batches are left as ready-to-eat tofu, or can be bought fried, smoked, or in a chopped, marinated form, before being hand-packaged. Phoenix Bean also sells the soy milk used to make its tofu, along with bean sprouts. If you're in Edgewater, you can check out Yang's fried tofu and bean sprouts in the spring rolls at neighboring Jin Thai. Though the celebrity endorsements are nice, Yang said living in Chicago for the last 22 years and building relationships with the neighborhoods has been the most rewarding. "All I can say is I'm thankful," Yang said. "It leaves you speechless ... this is heaven."